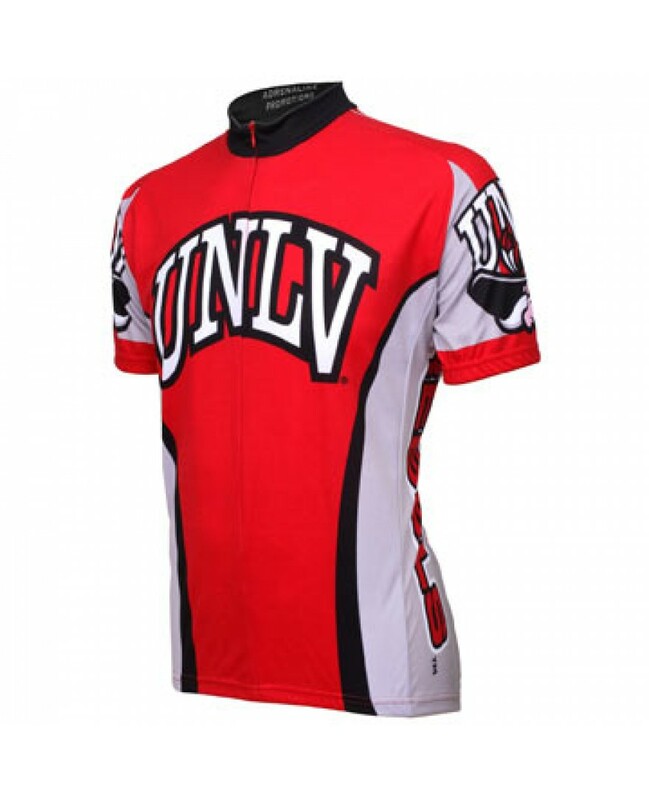 Represent while you ride with the Officially Licensed University of Las Vegas UNLV Runnin Rebels Mens Cycling Jersey. Made out of Dry Sport Moisture wicking polyester for breathability and comfort. 16" front hidden zipper. 3 rear storage pockets to store all your essencials. Elastic waist and cuffs for a great fit.